This recent post asked: what will September bring and noted that with history as a guide likely notable FCPA enforcement actions. This 2015 post highlighted the burgeoning Uzbekistan telecommunication investigations involving Dutch telecom company VimpleCom, Swedish telecom company TeliaSonera, and Russia-based Mobile TeleSystems. As highlighted here, in February 2016 VimpelCom resolved a net $397.5 million FCPA enforcement action and as highlighted below yesterday the DOJ and SEC announced a contemplated $483 million net FCPA enforcement against against Telia (after accounting for various credits and deductions for contemplated Swedish and Dutch enforcement actions) – the 5th largest net FCPA settlement of all-time. Between 2002 and 2007 Telia had shares traded on a U.S. exchange. Like the VimpelCom enforcement action, the Telia enforcement action alleges executive management conduct including certain attempts to structure business transactions in Uzbekistan in ways to evade the FCPA. a DOJ component: (i) criminal charges against an indirect subsidiary in Uzbekistan (Coscom LLC) resolved via a plea agreement; and (ii) criminal charges against Telia resolved via a deferred prosecution agreement. 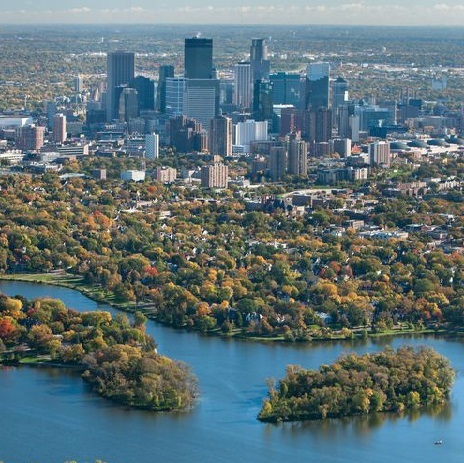 After accounting for various credits and deductions for contemplated Swedish and Dutch enforcement actions, the contemplated net DOJ settlement amount is approximately $275 million. an SEC component finding violations of the FCPA’s anti-bribery provisions and internal controls provisions via an administrative cease and desist order. After accounting for various credits and deductions for contemplated Swedish and Dutch enforcement actions, the contemplated net SEC settlement is approximately $208 million in disgorgement. The Coscom LLC criminal information and Telia criminal information allege the same core conduct and thus are separately set forth below. “Telia, Executive A [a high-ranking executive of Telia who had authority over TELIA’s Eurasian Business Area] and Coscom [an indirect subsidiary headquartered and incorporated in Uzbekistan that Telia began operating its mobile telecommunications business in Uzbekistan] conspired with others to make approximately $331 million in corrupt payments to the Foreign Official [an Uzbek government official, and a relative of a high-ranking Uzbek government official, with influence over decisions made by the Uzbek Agency for Communications and Information (“UzACI”) – this individual has been widely reported to be Gulnara Karimova] in exchange for the Foreign Official’s agreement to expand Telia’s and Coscom’s share of Uzbekistan’s telecommunications market. Executive A and certain management and employees within Telia and affiliated entities (hereinafter referred to singularly and collectively as “certain Telia management”) and certain management and employees of Coscom (hereinafter referred to singularly and collectively as “certain Coscom management”) understood that they had to regularly pay the Foreign Official millions of dollars in order to enter the Uzbek telecommunications market and continue to operate there. 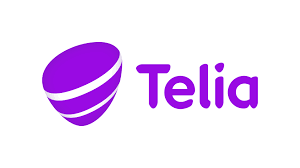 As a result of its corrupt conduct, Telia’s pecuniary gain was approximately $457 million from its Uzbek telecommunications operations. a. First, before entering the Uzbek market, Executive A and certain Telia management understood that Telia was required to enter into a corrupt partnership with the Foreign Official in order to operate in Uzbekistan. Certain Telia management negotiated the terms of the corrupt partnership with Associate B [a chief executive at one of Coscom’s primary competitors in Uzbekistan who also represented the Shell Company [a company incorporated in Gibraltar that was beneficially owned by the Foreign Official] and the Foreign Official in their business dealings with Telia and its subsidiaries, including Coscom, who represented the Foreign Official. b. On or about July 4, 2007, Telia UTA entered into a cooperation agreement with Associate B, who signed the agreement on behalf of the “Uzbek Partner.” The “Uzbek Partner” was defined in the agreement as Associate B “or his nominee,” though Executive A and certain Telia management knew Associate B was acting on behalf of the Foreign Official. The cooperation agreement set forth basic terms that later would be formalized as part of a Shareholders Agreement, including that the “Uzbek Partner” would receive a net balance of $30 million and shares of Telia Uzbek, the 99.97% owner of Coscom, with the option to sell the shares back to Telia UTA at a substantial profit for the Foreign Official. c. Soon after the cooperation agreement was signed, in or around August 2007, Executive A and certain Telia management authorized a corrupt bribe payment of approximately $2 million to be made by certain Coscom management to Associate B for the benefit of the Foreign Official. d. In or around December 2007, Telia acquired 3G frequencies for Coscom through a payment to the Shell Company of $80 million. In or around the same time, a TELIA subsidiary entered into a corrupt Shareholders Agreement with the Shell Company whereby the Shell Company acquired an indirect 26% ownership interest in Coscom for $50 million, with the right for the Shell Company to exercise an option to sell shares back at a substantial profit. The net result of these transactions was that Telia made, through the Shell Company, a $30 million bribe payment to the Foreign Official and transferred an indirect 26% ownership interest in Coscom to the Foreign Official, along with a valuable put option, as contemplated in the July 4, 2007, cooperation agreement, which Executive A and certain TELIA management understood was necessary for Telia to enter the Uzbek telecom market. e. In or around September 2008, Telia Uzbek paid a $9.2 million bribe to the Shell Company to benefit the Foreign Official and facilitate Coscom’s acquisition of a number series and network codes, as well as to continue to conduct business in Uzbekistan. f. In or around February 2010, Executive A and certain Telia management authorized a $220 million bribe payment to the Shell Company to benefit the Foreign Official in order to continue its telecom business in Uzbekistan, after the Shell Company exercised its option under the Shareholder Agreement to sell back 20% of its 26% ownership interest in Coscom. “During Telia’s entry to the Uzbek telecommunications market, Telia and its subsidiaries used both U.S. citizens and U.S. companies (collectively “Telia agents”) to aid in establishing a corrupt relationship with the Foreign Official. Each Telia agent was a “domestic concern” as that term is used in the FCPA. Certain Telia management and Telia agents used U.S.-based email accounts to communicate with others and effectuate the scheme. In addition, Telia and Coscom made and caused to be made, numerous corrupt payments that were routed through transactions into and out of correspondent bank accounts at financial institutions in New York, New York. The relations with the Uzbek partner is [sic] rather delicate. As you know we are dealing with [Associate B], who is the general manager of [one of Coscom’s primary competitors in Uzbekistan]. Contacts [of certain Telia management] indicated that [Associate B] has the power to stri[ke] a deal on behalf of [the Foreign Official]. I attended two meetings with [Associate B] and at least at the second meeting, [Associate B] indirectly confirmed this. . . . During these meetings, [Associate B] asked [certain TELIA management] to come to [Associate B’s] office and they had rather long private meetings. . . .
We need to sign the Term Sheet and then the Option Agreement before the signing [of] the Merger Agreement with [the Acquisition Target]. This will require substantial negotiations with the Uzbek Partner. . . . In or around September 2012, Swedish public television broadcast a documentary that exposed Telia’s corrupt dealings with the Foreign Official and the Shell Company in Uzbekistan, and caused Telia to initiate an internal investigation. Soon thereafter, the Swedish Prosecution Authority also opened an investigation into Telia’s corrupt dealings in Uzbekistan. Based on the same core conduct highlighted above, in this administrative order found that Telia violated the FCPA’s anti-bribery provisions and internal controls provisions. “From 2007 to at least 2010, Telia paid bribes to a government official in Uzbekistan in order to obtain and retain business that generated more than $2.5 billion in revenues for Telia. During the course of the bribery scheme, Telia made at least $330 million in illicit payments. These bribe payments were made to the Uzbek official (“Government Official A”) to enable Telia to acquire a United States-based telecommunications company with operations in Uzbekistan and enter the telecommunications market in Uzbekistan. The bribe payments were funneled through payments for sham lobbying and consulting services to a front company controlled by the official. “Today’s settlement brings an end to an unfortunate chapter in Telia Company’s history. Since 2013 the new board and management have worked diligently and responsibly to understand what went wrong, to remedy what has been broken and to regain trust from all our stakeholders. We have come a long way to establish a more sustainable company with a strong focus on governance and compliance but it is a never-ending journey as we aspire to embed this into our culture making sure that all employees understand the importance of doing the right thing all the time. The resolution and related financial sanction that we announce today is a painful reminder of what happens if we don’t”, says Telia Company’s President and CEO Johan Dennelind. The U.S. and Dutch authorities conclude that Telia Company’s conduct was in violation of the FCPA (Foreign Corrupt Practices Act) and Dutch legislation and that corrupt payments of approximately USD 330 million were made by the company. As part of the settlements, Telia Company will pay fines and disgorgements to the SEC, DOJ and OM in an aggregate amount of USD 965 million. In addition, Telia Company’s subsidiary in Uzbekistan, Coscom LLC, has entered a guilty plea with the DOJ. The total fine has been determined to be USD 548 million which is paid in equal parts to the DOJ and OM. In addition, the financial gain has been calculated to be USD 457 million and the equivalent amount will be disgorged except for USD 40 million which is part of the amount to be paid as a forfetuire to the DOJ. This SEC disgorgement amount will be offset by up to USD 208.5 million against any disgorgement obtained by the Swedish Prosecutor or Dutch authorities. Since receiving the initial resolution proposal from the U.S. and Dutch authorities in September last year, Telia Company has engaged in constructive discussions with each authority and this has resulted in a resolution that is in the best interests of the Company. Telia Company’s cooperation in the investigation and its extensive remedial measures, including terminating all individuals involved in the misconduct; creating a new and robust compliance function throughout the company; implementing a comprehensive anti-corruption program and overhauling the Company’s corporate governance structure has been recognized by the authorities. Telia Company received an aggregate discount of 25% off of the bottom of the otherwise-applicable U.S. Sentencing Guidelines fine range. Based on the Company’s remediation and the state of its compliance program, the authorities determined that an independent compliance monitor was unnecessary. Telia Company will continue to cooperate with the authorities and has committed to continuing to enhance its compliance program and internal controls. Telia Company was informed in March 2014 that U.S. and Dutch authorities were investigating its historical transactions in Uzbekistan and its dealings with Takilant Ltd – Telia Company’s local partner when the Company entered Uzbekistan in 2007. Since 2012, a Swedish prosecutor has separately investigated the transactions as well. Telia Company has continuously cooperated fully with and supported the investigations. “Telia Company is pleased to be able to bring closure to what has been a very serious and difficult process. The company has done everything in its power to take responsibility for actions in connection to the entrance into Uzbekistan ten years ago and the subsequent transactions involving Takilant. Our ambition throughout the entire process has been to be as transparent as possible and to establish a trustful co-operation with the authorities in question. We have accounted for our solid sustainability work and the major cultural changes that have taken place within the Company during the last few years which have been important factors enabling us to have a constructive dialogue and for the outcome of the settlement. These changes within the company are also a very important platform for shaping the new Telia Company,” says Marie Ehrling, Chair of the Board of Telia Company. David Stuart and Rachel Skaistis (Cravath) and Angela Burgess (Davis Polk) represented Telia.